I don’t get out much, but when I do, I tend to see things in another light. 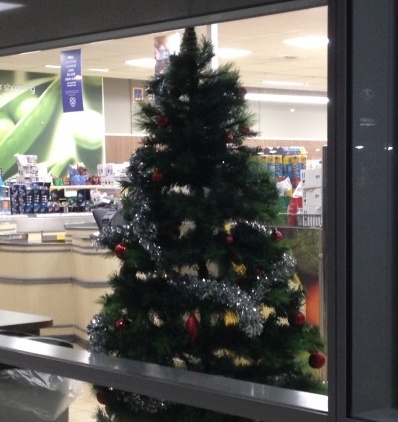 The only Christmas tree (apart from private home front yards) I found while driving around Ashmore last night, was one in the front window of the Ashmore Aldi store. The same store next to the now dead and vacant Holden building.